In the olden times, the inhabitants of Southeast Alaska (comprised of various Native tribal societies like Tlingit, Haida, and Tsimshian) relied greatly on the bodies of water surrounding the area. Aside from being the major means for transportation, they also relied on these waters for fish. Then and now, the residents Southeast Alaska continue to rely on the waters of Southeast Alaska to drive their fishing industry which has now expanded to commercial fishing and contributes to the success of their other major industry, tourism. 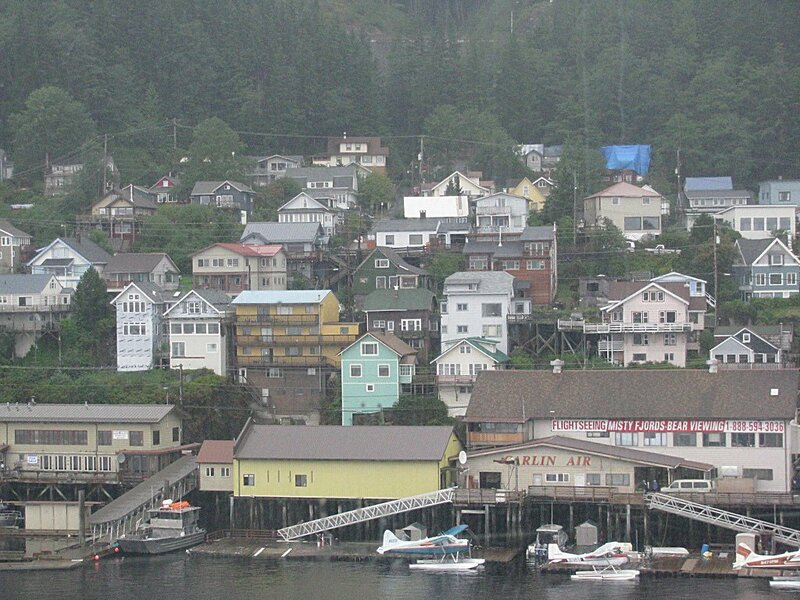 One area in particular is the city of Ketchikan which is more popularly known as the “Salmon Capital of the World”. Located on Revillagigedo Island’s western coast, Ketchikan lies near on the tip of Alaska’s southern boundary and usually serves as the first port of call for cruises coming in to Alaska. The town is named after the Ketchikan Creek that continues to flow at the heart of downtown. Tlingit natives were said to be some of the earliest settlers in the area, setting up a fishing camp by the shores of the creek. When commercial fishing industry caught wind of the abundant salmon inhabiting the creek, they promptly established a township. Ketchikan attracts scores of tourists annually, though a large percentage of visitors are sport fishermen who want to take advantage of the rich waters of Ketchikan Creek. Aside from the outdoor activities, Ketchikan is regarded as one of the best small arts communities in the country due to the numerous shops and art galleries that showcase works from local artists. There’s also the Totem Heritage Center which has an impressive collection of native tribe totem poles dating back to the 19th century and other cultural treasures. Ketchikan may be the “Salmon Capital of the World,” but it has more to offer than just sport fishing.